Tucked away from the glamour of the jewellery industry are goldsmiths. We are not often found on the front line of the jewellery buying experience, but instead behind the scenes, designing and crafting the work to be worn on special occasions. While it may appear obvious to some, the truth is, not all jewellery is created equal. Craftsmanship has been gradually replaced by mass production processes, resulting in products that while cheaper, are marked by compromises in quality. Much of this jewellery is characterized by a lack of execution of the fine details in the pursuit of general appeal. This is especially apparent on the internet. Many online retailers take the easy route of sourcing the same low cost, low quality cast jewelry from mass manufacturers overseas, in order to entice the buyer to ‘complete’ a transaction. 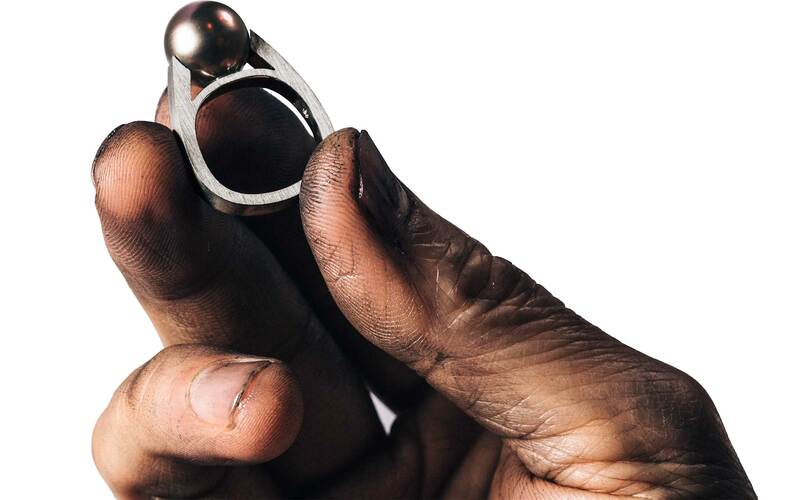 At NÉWA Goldsmith, we believe jewellery with a fully resolved elegance is still produced through traditional handmade techniques and its many intricacies. It’s the dedication to this time-honored approach that sustains the workshop and impassions us to communicate the beauty of jewellery from the perspective of its maker. From classical to contemporary to modernist, the work from our studio has spanned the gamut of design possibilities. Click to see our portfolio of custom made jewelry. We stand behind each diamond engagement ring with one year guarantee. Cleaning is of course, complimentary for its wearer. Fine jewelry should last. It starts with a well crafted piece of jewelry and extends to expert maintenance. Whether you already have ideas or are in need of design assistance, we can help you create a piece of jewelry tailored to your style and taste. That piece of jewelry is okay but it’s not quite you. We can help in redesigning it into the perfect adornment. Does it need a few more diamonds? Or perhaps you have ideas on how to make it perfect for you. We can help. When jewelry doesn’t fit properly it can be an everyday nuisance. We can help make it an everyday joy to wear. Bracelet looks a little dull? Brushed texture of your wedding band looking a bit scratched up? We can help restore the showroom finish of your jewelry. Had to encapsulate your idea in a call? Email us. Browse our custom jewelry portfolio for ideas. Explore our jewelry services portfolio for possibilities.